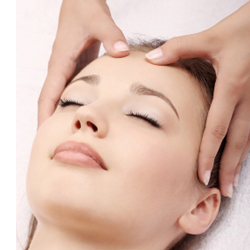 Cranial osteopathy is a form of osteopathic treatment developed by Dr. William Sutherland that considers the patient as a whole in terms of motion, tissues and body structure. Osteopaths who are trained in this way of treating, diagnose strains that may be present by the palpation of a subtle whole-body motion that is within all tissue, this is called the Primary Respiratory Mechanism and is utilised for evaluation and treatment. The treatment is refined and subtle and encourages the release of stresses and tensions throughout the body, including the head. This approach can be used for people of all ages. Osteopaths experienced in this way of treating can evaluate any problems or strains in the body resulting from injury, trauma and past history. This gives an insight into the overall condition of the body, for example if it is healthy or stressed. The cranium is an ideal place for treatment, but the treatment can be applied elsewhere depending upon the needs of the individual. The focus of treatment is on bones and other tissues, as with other osteopathic treatment, however the osteopath will use subtle manipulation to treat areas of tension by applying subtle pressure, so no forceful movements are used, this may help various complaints and assist in correction of the body equilibrium, which is essential for optimum health. 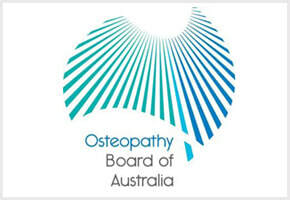 Lara is a member of The Sutherland Cranial Teaching Foundation of Australia and New Zealand. Please contact Lara with any questions or if you require further information.